Alex did a pretty good job of filling everyone in on what was going on in Oaxaca for day of the dead (in fact there are multiple days of the dead, with one big celebration at the beginning for All Hallows’ Eve). It begs to be mentioned that for every flash happy maverick we saw in the cemeteries, there were plenty of tourists being respectful of the families and celebration (though there were a crushing amount of tourists). On Friday afternoon we got back from Tule cemetery and having been out late the night before, going to three cemeteries for Day of the Dead, we thought we’d just spend the night in. However, someone was going around the hostel promoting a cemetery tour that night that would go to a couple of cemeteries we hadn’t been too. We said yes and signed up, and only after did I find out it didn’t start till 8:30 and was a five to six hour tour (you read that right) meaning it wouldn’t be over till one or two in the morning. I almost ducked out at the last minute before the tour started, and after what was to come, I wish I had. The tour was the worst both Alex and I had ever been on for a multitude of reasons. The person conducting the tour (asshat) hadn’t done any research and half of the cemeteries we went to ended up being closed for the night by the time we got there. Of the two we did visit, one was Tule (where we had just been earlier in the day) and the other was the main cemetery in Oaxaca (where we had been the night before). While touring the two cemeteries we did go to, the guide didn’t offer any insight or knowledge of what was going on and I honestly think Alex and I know more about Day of the Dead than he did. After leaving the main cemetery at 11pm, we then proceeded to be dragged from closed cemetery to closed cemetery until finally at 1am, the tour asked for the guide to just take us back to the hostel (where he informed us he wanted to take us to one more place that was supposed to be happening, we didn’t bite). Once returned, he offered us a free tour the next night, but we all declined citing other plans. I could think of nothing worse then to have to relive that experience again. I would pay money to not have to go a second time. We spent the last night touring the celebrations in Tule and Oaxaca, which is where I met a posse of drag queens and was escorted around town. The next morning it was time to pack all the gear, load the bikes and head on out to the gulf coast. Alex’s cousin (who is a truck driver) told us that there were three options out of Oaxaca: 1) was a pleasant, but relatively boring back-track, 2) was over 200 miles of hairpins going kind of the wrong direction, and 3) (the one we picked) was just over 100 miles of s-turns with gorgeous views and a nature reserve. before descending once more into the mist. 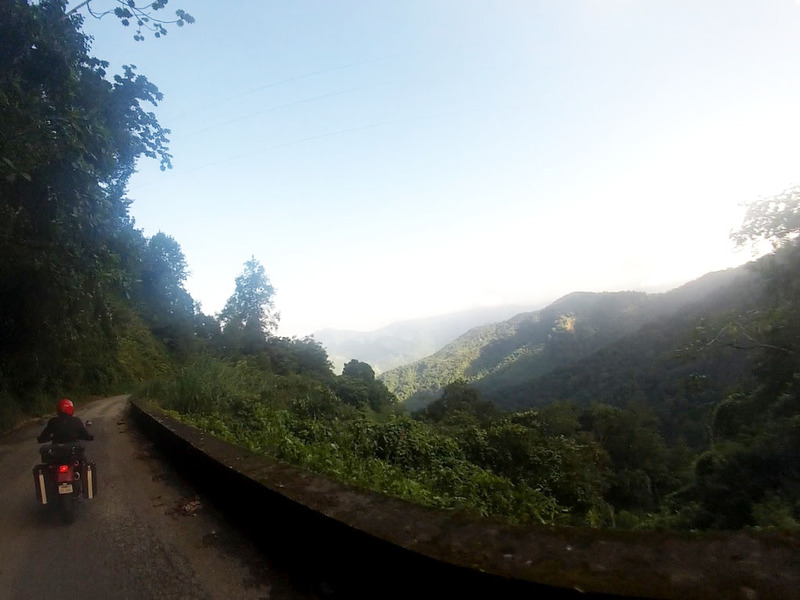 However, about right at the halfway point, the road circled the mountain and started heading down and we were suddenly in the middle of the nature reserve complete with roadside waterfalls. 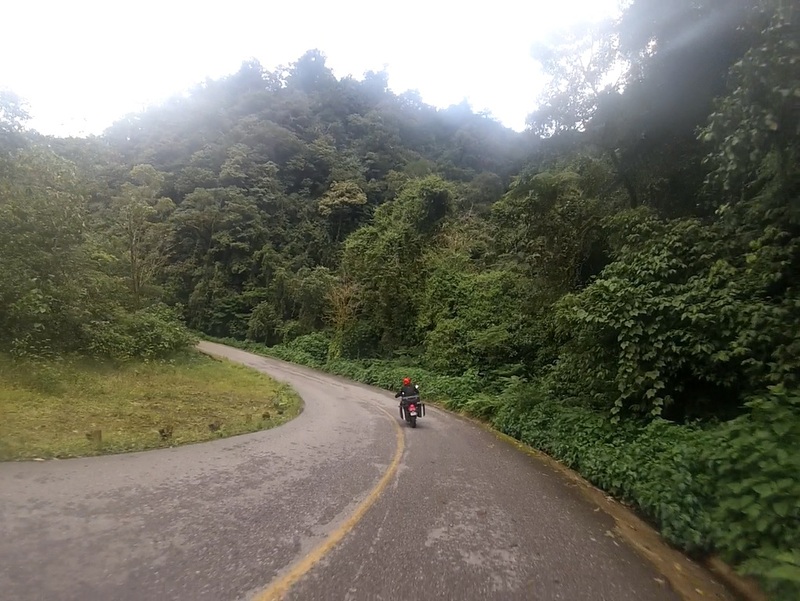 If you are ever in the Oaxaca region with your bike, you have to take the road from Tuxtepec to Oaxaca (hwy-175). Make sure your bike can handle the mountain terrain, but the views you get will be some of the best anywhere. 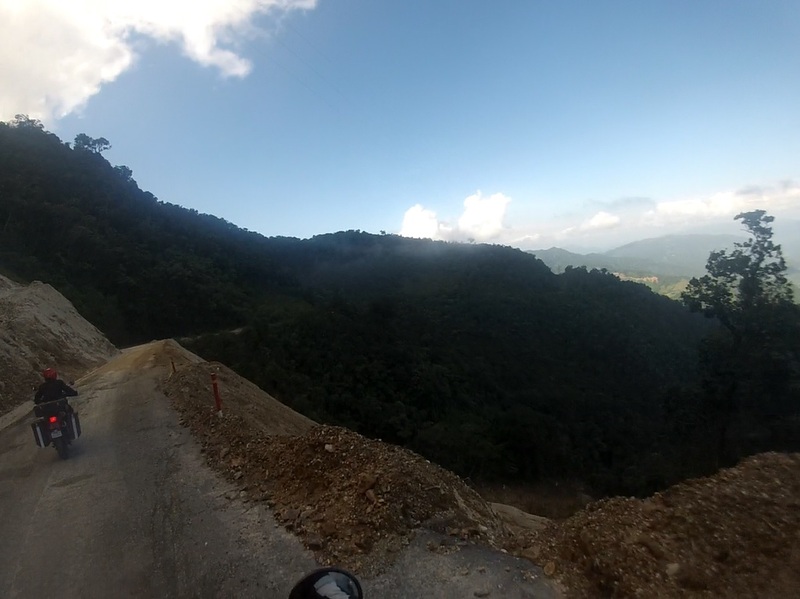 We finally made our final descent, and rode on to Tuxtepec for the night. I like that Nathaniel only mentioned being escorted by drag queens for a single sentence haha. Those images of the ride on the mountain look amazing!! !